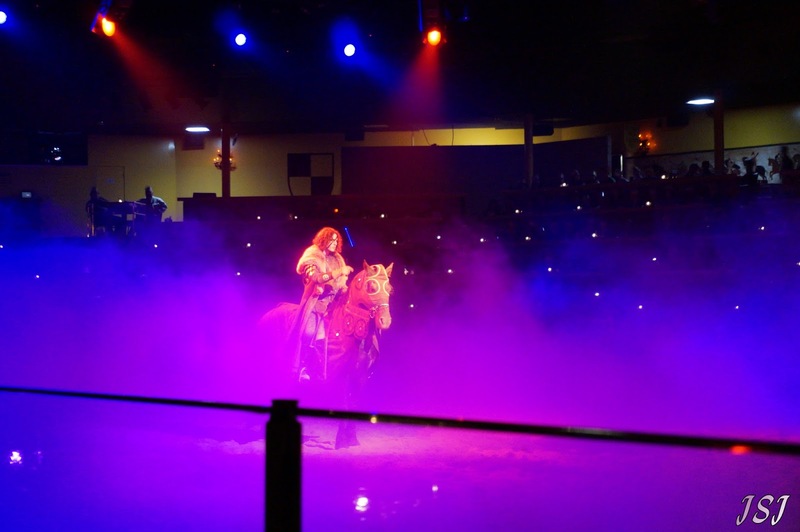 Dinner Show Review of Medieval Times in Buena Park, California. Special Coupon Code: Available below for reading out review! Recommendation: If your looking for a new experience and good entertainment, Visit! 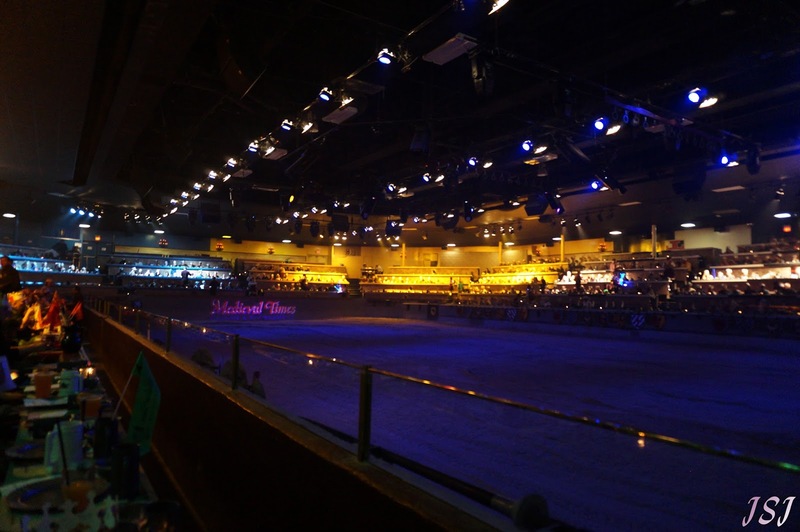 Medieval Times Dinner and Tournament is exactly as it sounds, a dinner show with a setting in medieval times. You're the guest of the King and Princess who are hosting a tournament of the best knights of the realm. 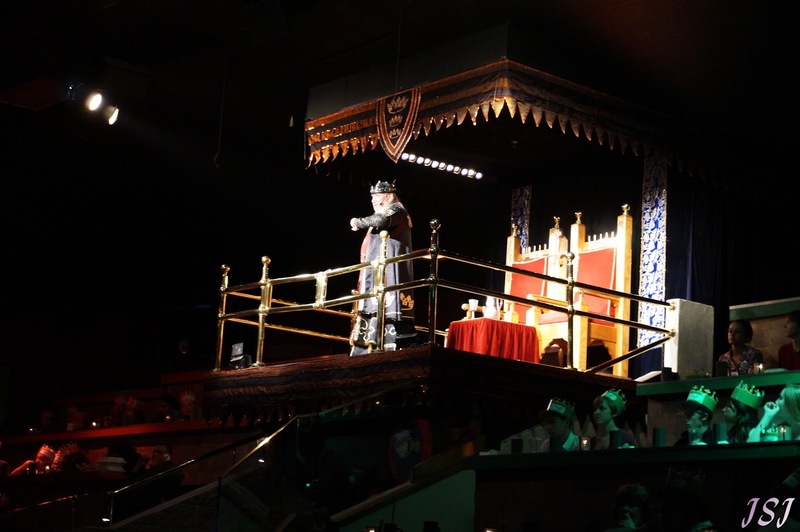 Medieval times has 9 different castle locations around in the United States and Canada. Over the years the team of ISI has only managed to visit two of the castles, in Orlando, Florida and Lyndhurst, New Jersey. Since we were just down the road from Medieval Times, it was surely a good time to visit! So, since it has been many, many years since we indulged in a dinner show, now was a perfect time to get reacquainted with a childhood favorite. Situated in a large stadium around a sand arena, you're placed in sections of a knight identified by a color. In true stadium style, each seat is good but we splurged for the "royal upgrade package" for an extra $10 per person. While this may seem high with the price, it's worth it for the goodies and superior seating. With the upgrade you get a photo book, DVD of the show and experience, a colored banner of your knight and seating within the first two rows. On a busy night, this is really worth the extra charge! Yes, you do eat with your hands! Honestly, it's part of the fun of the show but never fear- the food is finger friendly. We also found the food options and quality to be much improved over long ago visits. The opening course if a Tomato Bisque soup with garlic bread, the only part we encountered that wasn't great was the fact they didn't have an alternative to the tomato soup- not everyone likes it! So keep that in mind. Continuing on with dinner we each got 1/2 a chicken, a thick cut rib and potato are next loaded onto your plate. We found this course much improved, the food was served hot and tasty if perhaps a bit messy Your final course is an apple turnover, also served steaming hot. Perhaps ours was a bit gooey, but with baked goods in large batches- that's fairly common. Overall, the food was a HUGE improvement from the past when you often got cool, highly greasy food. The one large and rather disappointing change we noticed is that the show no longer offered "Free Beer and Sangria" to guests- I suspect this is likely because having to ID every single guest can be a time consuming hassles but never fear my fellow drinkers- They full service bar is still open and 'bar wenches' will happily bring you libations! equines which are well trained and often topped with some great female eye-candy! The show is why your here and we even found the show at this castle to be fresh and improved over previous versions. 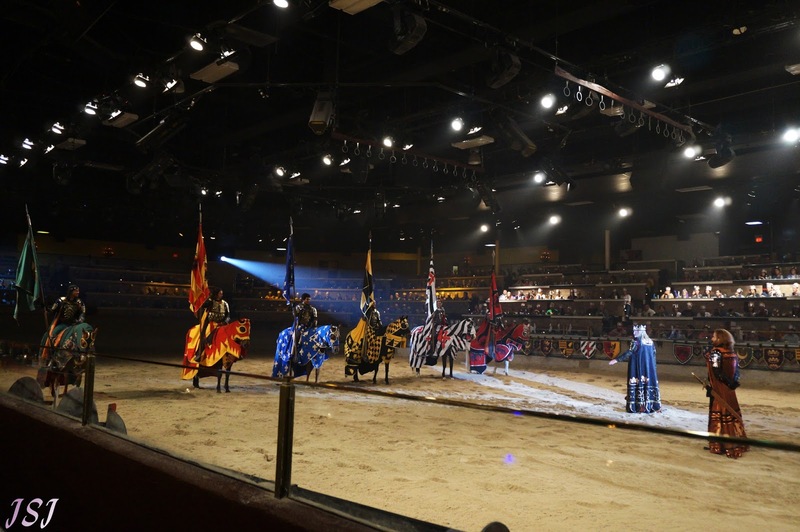 Medieval Times still follows the "Tournament and Celebration" theme which features games of chance and skill- Jousting, Agility, Accuracy and Talent. All using the skills of the rider for nearly all, naturally some of this is scripted (it has to be- both to be fun and safe for the performers) but a lot is still left to chance. Of course they still have the lovely "handing out of favors" with flowers but as always- they go to little girls in the audience which is both a sweet touch and keeping down of the problems! The show has also added in a proper "story-line" with an actual "bad guy" rather then it being one of the knights! A visiting "barbarian" has come to deliver a gift and has a surprise but predictable demand at towards the end. Honestly, I'm not going to give it away but it does result in an epic fight! Overall, we really enjoyed the show and the food. We found it a good value and a highly entertaining way to spend a few hours in the evening! It may seem pricey, but once you realize all that's included- the value is there and worth it. Everyone should indulge in a dinner show now and again- it's good fun and a change from the typical 'dinner' routine. Plus, they've got knights! Who doesn't love that?! We've also got a special offer for you! 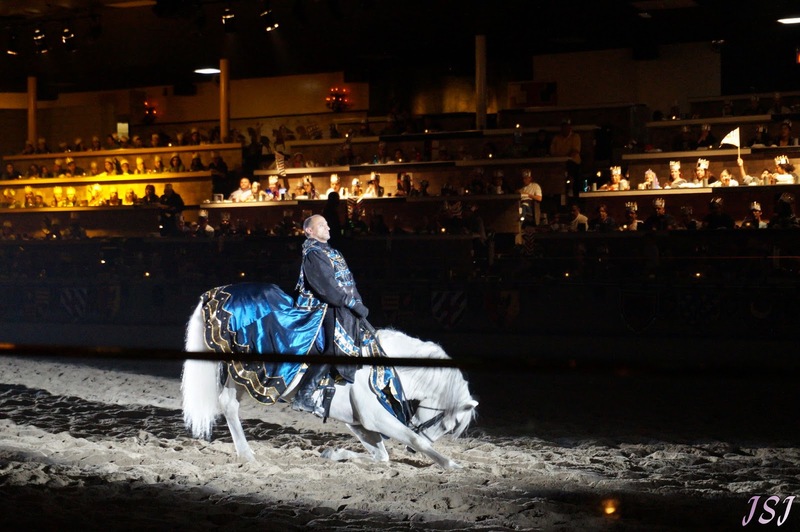 By asking Medieval Times they've passed along a promotion to us to post up here on the blog. 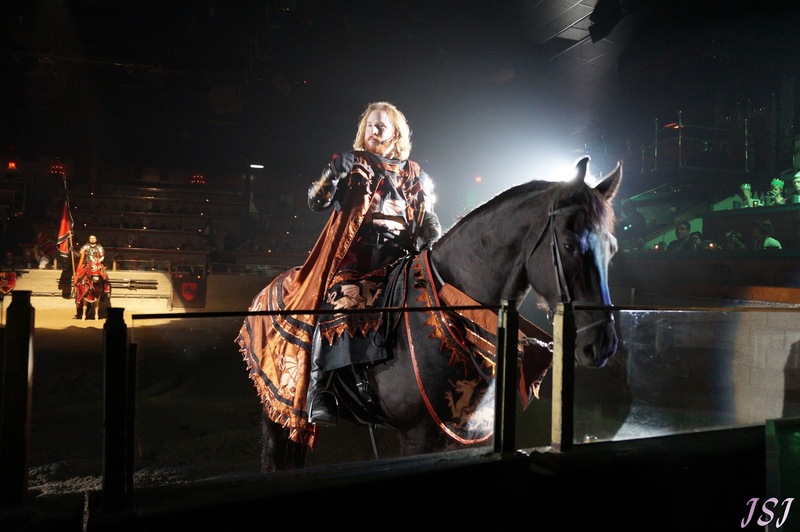 If you follow this link: Medieval Times, Spring Break Coupon and enter the code:"SBWEB" you can get your tickets "Buy One, Get One Free" until April 30th which is valid ONLY at the Buena Park Castle (other castles may have the same deal but you'll have to search for it). Now, this deal is only good from Sunday to Wednesday but who doesn't like saving some money! ?